Interim results in the latest poll in our Underground Knowledge discussion group on Goodreads.com reveals there’s considerable uncertainty over the safety of child immunizations and vaccines. In response to the question Do you believe child immunizations/vaccines are for the most part extremely safe as per official statements from mainstream medicine and Big Pharma? well over half our poll respondents to date say they don’t believe that or they’re unsure. Interim poll results show 41% say Yes; some 38% say No; and 21% say Unsure. Fellow ‘Undergrounders’ (group members) include doctors, nurses (and former nurses), lab technicians, pharmacists, scientists, a neurologist and other medical professionals – and a number of those members are contributing to the poll. Some of the comments make for interesting reading. With the recent talk of vaccinations highlighted during the Republican Presidential debates, it definitely highlights the concerns that linger among us parents about having our children vaccinated. I must preface this post (before getting to my point by discussing a recent article in the neurological literature) by stating that I am a neurologist with 5 children and all were fully vaccinated. That said, I must admit that the vaccinations were spaced apart further than that which was recommended by the pediatrician. The only reason my wife and I were adamant about altering the dosing regimen was that we routinely witnessed an alteration in our childrens’ mental status after they received a barrage of shots. I would like to say that flu-like symptoms or low-grade fevers precipitated the changes. However, there were no signs or symptoms of any physical reaction to the vaccines. What did change on occasion was their personalities, sleep habits and at times cognition. It was scary to witness, but we were relieved when it resolved. As we began to split up the vaccination shots for our younger children, these neurological sided effects abated. The reason why I discuss my own experience is that the medical system ardently insists that autism is not related to vaccinations. However, a recent medical journal I read does raise the awareness about the possible neurological sequela that can occur after one of these shots. A July 1 article in Science Translational Medicine discussed the link between Pandemrix, a vaccine used during the H1N1 flu pandemic, and 1,300 reported new cases of narcolepsy which occurred after receiving the shot. The article described how antibodies that formed as a result of the vaccine crossed the blood-brain barrier and attacked the sleep regulation portion of the brain. As a result, these people were left with narcolepsy. The process is called molecular mimicry. It has already been documented as the cause of different neurological diseases that result from the body’s immunological response to certain cancers, infections or exposures. If a vaccine can cause narcolepsy, it definitely calls into question whether vaccines could also initiate other neurological problems such as autism. Though the question remains, the overall benefit of vaccines to society as a whole does outweigh the risks. My only recommendation to the medical establishment is to reconsider both the dose of the vaccine and the timing they are given, to reduce any of these possible side effects. Cures already ‘out there’ for many so-called incurable illnesses? There seems to be more than enough evidence to support the claim that at least some scientific breakthroughs are suppressed. We explored this in our first non-fiction book The Orphan Conspiracies, and again in our recently published MEDICAL INDUSTRIAL COMPLEX: The $ickness Industry, Big Pharma and Suppressed Cures. We cite a January 2014 New York Times article reporting that America’s National Security Agency (NSA) uses secret technology to remotely input and alter data on computers worldwide – even when targeted PC’s or laptops are not connected to the Internet. We point out that this suppressed technology, which uses radio frequencies to spy on computers, only came to the public’s attention due to leaked NSA documents from former agency contractor-turned whistleblower Edward Snowden. This begs the question: Is it a regular occurrence for governments, intelligence agencies and the military to withhold scientific breakthroughs from the public? If so, how many other suppressed inventions exist in the world’s ironclad vaults of power? Replace the word inventions with cures and you will see what we, in our roundabout way, are driving at. Unfortunately, it appears this also happens within modern medicine where cures for various illnesses mysteriously vanish or are quashed by the medical establishment. The basic concept or theory we explore in this chapter is that there are already cures for many so-called incurable illnesses. However, they are often unpatentable (aka unprofitable or unmonitizable) and therefore blocked by multinational drug companies. In other instances, these cures are sometimes not suppressed for financial reasons but rather for intellectual ones: such cures contradict medical academia and these cures, which are often radical and seem non-scientific, “do not compute” with what official science says. But a term one American banker-turned author coined seems relevant in this regard: “Scientific fact, until next revision”. Meaning what seems to contradict science today, may make sense tomorrow, for science is perpetually evolving. This suppression theory supports the assertion that Big Pharma needs sick people to prosper. Patients, not healthy people, are their customers. If everybody was cured of a particular illness or disease, pharmaceutical companies would lose 100% of their revenue on the products they sell for that ailment. What all this means is because modern medicine is so heavily intertwined with the financial profits culture, it’s a sickness industry more than it is a health industry. There are numerous examples we could cite to support this. One of the most disturbing examples came to our attention in the form of a CTV News report dated November 29, 2012. Headed ‘Cure for cancer found in Canada – Pharmaceutical companies turn their backs,’ the televised report highlights the successful treatment of rats and mice given human cancers in a Canadian laboratory. The drug used was DCA – described by the researchers involved as “an unpatentable old drug” used to treat rare inherited diseases. Those same researchers were very excited, and confident, about its potential for curing cancer in humans and were keen to secure the interest of pharmaceutical companies to take the drug to the next step. DCA’s affordability – described as costing “just pennies a dose” – no doubt accounted for some of the researchers’ enthusiasm. Here, at last, was a potential cancer cure that wouldn’t cost patients the earth. Now here’s the rub. Because this cheap, unpatentable, old drug “doesn’t fit the business plans” of the pharmaceutical companies, they ain’t interested in progressing it. In other words, Big Pharma can see no profit in developing and marketing a pennies-a-dose drug – even if it has the likely potential of saving many, many lives. At the time of proofing this book, the CTV report on this disgusting state of affairs is still on YouTube and is well worth viewing. Of course, there are two sides to every story, and, in the interests of balance, we must relay one YouTube viewer’s comment on this report. He (name withheld) says: “Even if it was true that Big Pharma doesn’t want a cure for cancer, you don’t need Big Pharma to get a drug out there. There are plenty of non-profit and research institutions that have the money to fund this and have no incentive for a profit. This video is too one-sided to make a judgement…If you dig deeper into this you’ll find that clinical trials into humans were conducted in 2009 and did not yield the same results (as) in rats. The attack on Big Pharma is normally done by people who have no knowledge of the pharma industry and all the costs associated to create one drug”. Naïve or fair comment? You decide. How many plants are being unnecessarily synthesized and sold over the counter as wonder drugs to an unsuspecting public? We ask that question in our book MEDICAL INDUSTRIAL COMPLEX: The $ickness Industry, Big Pharma and Suppressed Cures. The basis of many a drug or medicine, of course, is a plant or plants. These plants range from herbs, flowers, roots and leaves to common and uncommon weeds. According to one (unconfirmed) source, there are 120 or more important drugs currently in use that have been sourced from plants. These drugs include the likes of morphine, camphor, papain, hesperidin, quinine, codein, ephedrine, strychnine and thymol. The plant chemical quinine is another example of a plant that has been synthesized by lab technicians; the resulting chemical drug is used to treat malaria – just as the natural extract from the bark of the tree it originally came from was once used. Remember, the pharmaceutical companies cannot patent anything that occurs organically in nature. So there’s no incentive for them to harvest, develop and sell herbs, leaves or any other plants. Far more profitable to synthesize or copy those plants, patent the resulting drugs and medicines, and then sell them. What if those patented drugs and medicines are less effective in the treatment of diseases and illnesses than the actual plants they are derived from? Think of the cost-savings – not to mention the health benefits to be gained by ingesting or applying natural substances as opposed to toxic chemicals. Has that occurred to anyone else? It occurred to us during our research for this book when someone very close to us – let’s call him Mr X – sought treatment for the very common solar keratosis, or sunspots, at a local skin clinic. Mr X was attracted by the clinic’s advertised use of a new drug, Picato, which is an extract of milkweed – also known as radium weed and cancer weed. Said to work considerably faster than other topical medications, dosing is completed in just two to three days (compared to two to four weeks for competitive products). As you can imagine, the skin’s reaction to such a powerful medication is quite dramatic. Users suffer drastic reddening of the skin and often painful blisters. Turns out the Picato treatment is very expensive – and quite toxic. Like the better known and more widely used Efudex treatment (for sunspots), Picato is potentially harmful to the liver and therefore the recommended dosage per treatment is wisely limited. The logic put forward by the skin specialists concerned is the alternative (to Picato or Efudex) could be fatal. They refer of course to deadly melanoma or skin cancer. That logic’s hard to argue with. But Mr X wondered why he couldn’t simply use milkweed to treat his sunspots. So he did some research. Turns out milkweed in its natural form is very effective for treating sunspots and potential skin cancers. Users simply break the stem of the plant and apply the milky sap to the skin. Of course, plants can be toxic, too, and milkweed’s no exception – depending on the variety. For starters, like Picato and Efudex, it must not come into contact with the eyes. The US Department of Agriculture (USDA) warns that “Milkweed may be toxic when taken internally.” On its website, USDA reports that Native Americans used milkweed as a food source, and several tribes used the sap to remove warts, for ringworm, and for bee stings. However, it was a Daily Mail article that clinched it for Mr X. Dated January 26, 2011, the article quotes scientists who claimed that the sap from milkweed “can ‘kill’ certain types of cancer cells” and that “it works on non-melanoma skin cancers”. The article states, “For the first time a team of scientists in Australia has carried out a clinical study of sap from Euphorbia peplus (milkweed), which is related to Euphorbia plants grown in gardens in the UK…The study of 36 patients with a total of 48 non-melanoma lesions” found that “After only one month 41 of 48 cancers had completely gone”. Mr X now treats his sunspots with milkweed, which he grows in his garden. Last we heard he’s still alive and well! That said, the Mr X case study was hardly scientific and therefore should not be used as a blueprint for managing the treatment of sunspots should you have any. As always, our advice must be: Consult your doctor first. However, it does illustrate the point we were trying to make – that we suspect there are plants, vitamins (à la Vitamin C) and minerals out there that are safer, more effective and a whole heap cheaper than the toxic, synthesized alternatives being developed and marketed by the pharmaceutical companies. If we are even half right then we’d suggest that would mean natural medicine and alternative treatments are worth exploring, right? 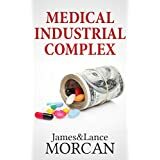 The unseemly subject of kickbacks, or illicit payments, for doctors – from the likes of the big pharmaceutical companies and medical equipment suppliers – is addressed in our controversial new book MEDICAL INDUSTRIAL COMPLEX: The $ickness Industry, Big Pharma and Suppressed Cures. We devote an entire chapter to kickbacks in our book. However, we stress to readers we have no wish to denigrate doctors, or to denigrate anyone who devotes their life to helping fellow man. Certainly, the medical profession, in its purest form, is a noble one. And doctors are clearly at the apex of the profession. And we stress that those who do (abuse their position) are very much in the minority. That said, the number of doctors who have brought their profession into disrepute, worldwide, is staggeringly high. Certainly far too many for so noble a profession, we would argue. It would be remiss of us not to bring your attention to some, shall we say, gaps in the system – gaps that allow doctors to abuse their position if they are so inclined. The following report was aired by BBC News on November 6, 2014: “Until recently, paying bribes to doctors to prescribe their drugs was commonplace at big pharmas, although the practice is now generally frowned upon and illegal in many places. GSK (GlaxoSmithKline) was fined $490m in China in September for bribery and has been accused of similar practices in Poland and the Middle East. “The rules on gifts, educational grants and sponsoring lectures, for example, are less clear cut, and these practices remain commonplace in the US. Indeed a recent study found that doctors in the US receiving payments from pharma companies were twice as likely to prescribe their drugs. “This may well exacerbate the problem of overspending on drugs by governments. A recent study by Prescribing Analytics suggested that the UK’s National Health Service could save up to £1bn a year by doctors switching from branded to equally effective generic versions of the drugs”. The “recent study” referred to by BBC News was a detailed 61-page report compiled by the University of California, San Diego (UCSD), and dated January 2014. This report starts out with the comment that “While rent-seeking behavior may not be surprising generally, that financial conflicts of interest could influence physicians’ advice might be less expected. For one, doctors are highly paid, with most falling in the top 5% of the income distribution within the US”. “We find that men are over twice as sensitive to payments as women. This confirms experimental and field evidence suggesting that women are, on average, more honest and less corruptible than men”. A US Federal Government report unveiled in September 2014, detailing 4.4 million payments made to doctors and teaching hospitals by pharmaceutical and medical device companies sheds more light on the vexing kickbacks issue. ProPublica.com, a watchdog site that prides itself on providing “journalism in the public interest,” analyzes the Federal Government report in an article dated September 30, 2014 by award-winning reporter Charles Ornstein…. Ornstein points out that the Federal Government’s “new trove of data” covers the period August to December 2013. He writes, “According to officials from the Centers for Medicare and Medicaid Services, companies spent a total of $3.5 billion during that period on 546,000 individual physicians and almost 1,360 teaching hospitals”. He concludes, “Doctors were paid for more than 200,000 trips by companies in the last five months of the year…Their top destinations were Toronto, Copenhagen, Amsterdam, Paris and Barcelona. Drug and device makers paid for doctors to travel to about 80 countries in all”. Ornstein also figures in an item CBS News ran on March 4, 2014. Headed ‘Does your doctor have ties to Big Pharma,’ the report states, “Big pharma routinely pays doctors to promote its products, but soon patients will be able to get a clearer picture about a doctor’s possible connections to the companies that make the drugs they may prescribe”. The same report addresses the all-important issue of trust – trust between patient and doctor. As Ornstein points out, “When you go to your doctor, you trust that the doctor is giving the best medication for you, but there’s a lot of different interests that your doctor has to take in mind in prescribing you drugs”. In response, Matthew Bennett, senior vice president of the Pharmaceutical Research and Manufacturers of America, is reported by CBS News as saying the discovery of new and improved medicines is dependent on research collaborations between physicians and biopharmaceutical companies. “Clinical trials sponsored by biopharmaceutical companies have led to breakthroughs for people suffering from cancer and other life-threatening diseases”. We don’t doubt there’s some truth to that, but it doesn’t address the concerns held by many – that it’s illegal to give kickbacks to doctors to prescribe drugs. Of equal concern to us is that it is legal for pharmaceutical companies to give money to doctors to help promote their drugs. How tempting it must be for doctors to put impartiality aside when recommending certain drugs to patients. And how tempting it must be for unscrupulous doctors to recommend lesser or inferior drugs, knowing promotional payments – aka kickbacks – are on offer. As Ornstein advised CBS News, “Some doctors make tens of thousands or hundreds of thousands of dollars a year beyond their normal practice just for working with the industry”. Yes, you read that right: tens of thousands or hundreds of thousands of dollars a year beyond their normal practice. Of course, this is nothing new. The practice has been around for ages, but we’ve limited the bulk of our research to cases dating back to the mid-2000’s. One earlier case that caught our attention was reported by New York Times on March 3, 2009. Under the heading ‘Crackdown on Doctors Who Take Kickbacks,’ reporter Gardiner Harris writes, “Federal health officials and prosecutors, frustrated that they have been unable to stop illegal kickbacks to doctors from drug and device companies, are investigating doctors who take money for using these products”. Harris states, “For years, prosecutors rarely pursued doctors because they believed that juries would sympathize with respected clinicians. But within a few months, officials plan to file civil and criminal charges against a number of surgeons who they say demanded profitable consulting agreements from device makers in exchange for using their products. “The move against doctors is part of a diverse campaign to curb industry marketing tactics that enrich doctors but increase health care costs and sometimes endanger patients. Taken together, the new measures are likely to transform the relationship between medicine and industry”. Harris concludes with a quote by the US attorney, Mr Sullivan, who said, “Officials hoped to send a strong message to doctors,” and “I have been shocked at what appears to be wilful blindness by folks in the physician community to the criminal conduct that corrupts the patient-physician relationship”. A Washington Post report that was picked up by media around the world in February 2015 points out that Americans spent $329 billion, or approximately $1000 per person, on prescription drugs in 2013. Quoting John Oliver, of the Last Week Tonight show as its source, the newspaper reports that nine out of the 10 big pharmaceutical companies spend less on research than on marketing. (A lot less as it turns out). The report confirms that US television channels screen ads for pharmaceutical products that require a doctor’s prescriptions. It concludes with the following quote from Oliver: “Ask your doctor today if he’s taking pharmaceutical money (then ask) what the money is for…Then ask yourself if you’re satisfied with that answer”. Little mention has been made thus far of kickbacks physicians receive from medical equipment manufacturers and suppliers. As with the relationship between the pharmaceutical companies and doctors, business dealings between medical equipment representatives and doctors are worthy of scrutiny. For a snapshot of just how widespread corruption is within the medical equipment supply sector, and unfortunately, amongst their clients within the medical profession, take a look at the website of New York trial lawyer John Howley, Esq. It lists numerous examples of historic kickbacks deemed illegal under the Anti-kickback Statute and subsequently successfully prosecuted. Hopefully, this insight into doctors’ kickbacks from the likes of Big Pharma and the medical equipment suppliers hasn’t destroyed your faith in your family doctor. We stress that those who succumb to the temptations on offer are in the minority and so, statistically speaking, we’d like to think there’s a very small chance your doctor is one of the culprits. Even more depressing than our ever-increasing reliance on drugs to combat high blood pressure is the overprescribing and over-use of antidepressants – especially where children are concerned. We address this in our book MEDICAL INDUSTRIAL COMPLEX: The $ickness Industry, Big Pharma and Suppressed Cures, and we examine the role mainstream medicine plays in all of this. Statistically, there’s a very good chance you know someone who is taking Prozac or some other antidepressant right now. It may be a neighbor, or colleague, or a friend or family member, or, it may be you. This no doubt has something to do with the readiness of people to talk about their depression or even their mental illness – conditions which, thankfully, are no longer burdened by stigma. It no doubt also has something to do with the widespread consumer acceptance of antidepressants as a solution for their depression. According to some estimates, depression, that most common of mental illnesses, affects one quarter of all Americans. A March 24, 2014 report in The Atlantic claims Americans are awash in pills. 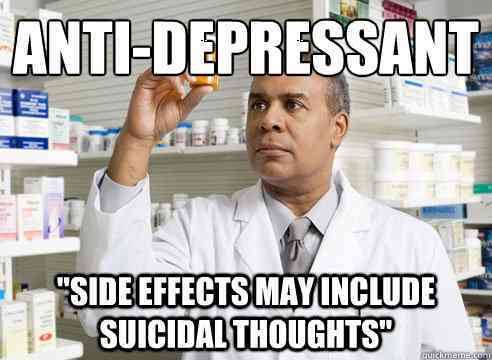 “The use of antidepressants has increased 400 percent between 1988 and 2008. They’re now one of the three most-prescribed categories of drugs, coming in right after painkillers and cholesterol medications”. The situation, it seems, is little better elsewhere in the Western world. In the UK, for example, more than 50 million prescriptions for antidepressants are written every year if latest estimates are correct. This figure is “staggeringly high,” according to an article in The Guardian dated April 13, 2014. It quotes Dr Matthijs Muijen, head of mental health at the World Health Organization Europe, as saying prescription levels have gone through the roof, claiming “There’s a degree of fashion about antidepressants”. Dr Muijen admits his worry is “We are medicalising all forms of sadness in the belief that antidepressants are a safe drug that you just prescribe”. In a report dated August 3, 2013, BBC News asks the question: “Is England a nation on anti-depressants?” It also asks why we are seeing “such huge and rising numbers of people” regularly taking anti-depressants when GPs are advised to prescribe them only for more seriously ill patients. The report continues, “In some places the number of patients prescribed anti-depressants exceeds the number of people in that area estimated to suffer from depression and anxiety by the NHS England’s Psychiatric Morbidity Survey (PMS)”. On June 21, 2013, Healthline News reported that a Mayo Clinic study found that nearly 70% of Americans are prescribed at least one medication, with antidepressants (along with antibiotics and opioids) topping the list. The article quotes the National Alliance on Mental Illness as estimating one in four Americans experience a mental health disorder, such as depression or anxiety, in a given year. “Typical first-line treatments for mental health issues are medication and some type of psychotherapy…Critics who say antidepressant medications are overused often claim there is a chicken-and-egg phenomenon, saying that antidepressants are prescribed for normal human reactions to life events, leading to a lasting diagnosis of mental illness”. The article concludes, “However, as the public mindset continues to change, there’s now less stigma attached to getting help for mental disorders, which may help explain the rise in antidepressant use”. Predictably, the Psychiatric Times, whose audience is American psychiatrists and mental health professionals, doesn’t agree that antidepressants are overprescribed in the US. In an article dated September 1, 2014, that publication’s editor-in-chief Ronald W. Pies, MD, reports that, “by and large”, he doesn’t agree with the allegation that America has become a kind of Prozac Nation – a none-too-subtle reference to the title of Elizabeth Wurtzel’s 1994 memoirs perhaps. “In many respects, the claim that ‘too many Americans are taking antidepressants’ is a myth,” according to Dr. Pies. “…To be sure: in some primary care settings, antidepressants are prescribed too casually; after too little evaluation time; and for instances of normal stress or everyday sadness, rather than for MDD (major depressive disorder),” he says. “And, in my experience, antidepressants are vastly over-prescribed for patients with bipolar disorder, where these drugs often do more harm than good: mood stabilizers, such as lithium, are safer and more effective in bipolar disorder. But these kernels of truth are concealed within a very large pile of chaff”. Dr. Pies continues, “For example, the media often report that antidepressant use in the United States has ‘gone up by 400%’ in recent years—and that’s probably true…But the actual percentage of Americans 12 years or older taking antidepressants is about 11%—a large proportion of the population, for sure, but not exactly Prozac Nation”. So, though Dr. Pies – and by default Psychiatric Times and no doubt the majority of psychiatric professionals in the US – disputes the allegation that America has become a kind of Prozac Nation, there seems to be a reluctant acknowledgement that antidepressants are vastly over-prescribed for patients suffering one type of mental illness at least, and that it’s probably true that antidepressant use has risen 400% in the US. Washington D.C. writer Brendan L. Smith, reporting on the American Psychological Association’s website in June 2012, reports that research shows that all too often, Americans are taking medications that may not work or that may be inappropriate for their mental health problems. Smith observes that writing a prescription to treat a mental health disorder is easy, but it may not always be the safest or most effective route for patients, according to some recent studies and a growing chorus of voices concerned about the rapid rise in the prescription of psychotropic drugs. “Today, patients often receive psychotropic medications without being evaluated by a mental health professional, according to…the Centers for Disease Control and Prevention. Many Americans visit their primary-care physicians and may walk away with a prescription for an antidepressant or other drugs without being aware of other evidence-based treatments…that might work better for them without the risk of side effects”. Smith quotes Steven Hollon, PhD, a psychology professor at Vanderbilt University, as saying at least half the folks who are being treated with antidepressants aren’t benefiting from the active pharmacological effects of the drugs themselves but from a placebo effect. “If people knew more,” Hollon says, “I think they would be a little less likely to go down the medication path than the psychosocial treatment path”. Smith claims Prozac opened the floodgates. “Since the launch of Prozac, antidepressant use has quadrupled in the United States…Antidepressants are the second most commonly prescribed drug in the United States, just after cholesterol-lowering drugs”. Smith also quotes Daniel Carlat, MD, associate clinical professor of psychiatry at Tufts University, as saying health insurance reimbursements are higher and easier to obtain for drug treatment than therapy, which has contributed to the increase in psychotropic drug sales. “There is a huge financial incentive for psychiatrists to prescribe instead of doing psychotherapy,” Dr. Carlat says. “You can make two, three, four times as much money being a prescriber than a therapist”. Is it our imagination or are the goalposts for high blood pressure ever changing? It doesn’t seem that long ago the “safe” systolic blood pressure (SBP) reading was your age + 100. So, for a 60-year-old, your SBP could be 160 over, say, 90 DBP (diastolic blood pressure) without your doctor suddenly becoming flustered and informing you a heart attack or stroke is imminent and immediately prescribing a lifetime course of BP medication. Then the BP safety guideline dropped to 140 over 90. Imagine how many additional patients that little adjustment resulted in for doctors and medical centers. And perhaps more to the point, imagine how much in additional profits that yielded for the corner pharmacies and the big pharmaceutical companies. Now all of a sudden – or since 2014 at least – the American Medical Association recommends drugs should be used to treat anyone aged 60 or over whose BP is 150/90 or higher. That tidbit was gleaned from a February 5, 2014 article in JAMA, the Journal of the AMA. In that article, JAMA states the BP recommendation “is based on evidence statements…in which there is moderate- to high-quality evidence…that in the general population aged 60 years or older, treating high BP to a goal of lower than 150/90 mm Hg reduces stroke, heart failure, and coronary heart disease”. Okay, so that’s a reversal of the downward trend we referred to, but it certainly fits the ‘moving goalposts’ analogy. 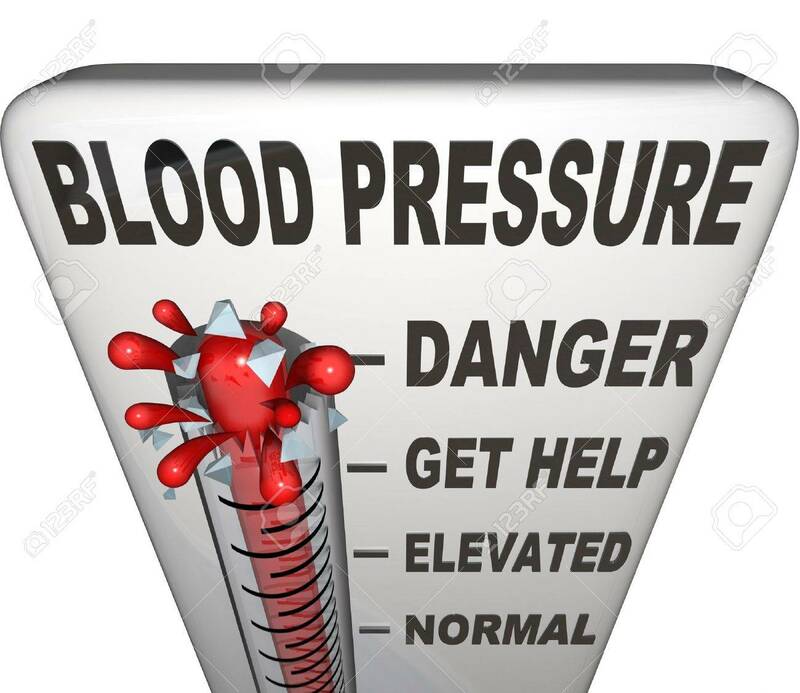 That said, we note the American Heart Association (AHA) recommends that BP for an adult aged 20 years or over “should normally be less than 120/80” and if your reading is 140/90 or higher “your doctor will likely want you to begin a treatment program”. That’s according to AHA’s heart.org website. By its reckoning, about one in three American adults has high blood pressure. Little wonder given its BP parameters. Here in New Zealand, our homeland, the Heart Foundation’s BP guideline for healthy adults, according to its website at heartfoundation.org.nz, should be below 140/85. Back to the American Medical Association’s take on blood pressure – commenting on AMA’s new guidelines, WebMD, which promotes itself as “America’s healthy living magazine,” confirms on its website the AMA guideline sets a higher bar for treatment than the current guideline of 140/90. WebMD quotes guidelines author Dr. Paul James as saying the recommendations are based on clinical evidence showing that stricter guidelines provided no additional benefit to patients. “We really couldn’t see additional health benefits by driving blood pressure lower than 150 in people over 60 (years of age)…It was very clear that 150 was the best number”. We wonder how that went down with the drug companies? Not too well, we suspect. The 10-point upward adjustment of the SBP reading is no doubt costing them millions. Or should that read billions? Certainly, the revised BP guidelines didn’t go down too well, according to WebMD, which reports the AHA expressed reservations. It quotes AHA president-elect Dr. Elliott Antman as saying the AHA is concerned that relaxing the recommendations may expose more persons to the problem of inadequately controlled BP. Apparently, the AHA’s concerns aren’t shared by American local government and social issues reporter Aaron Kase who is highly critical of what he describes as the over-prescription of blood pressure meds. Kase came to our attention courtesy of the American law site Lawyers.com, which ran an article first posted in Medical Malpractice on August 27, 2012. In that article, Kase (the author) states that, according to a new study, tens of millions of people taking BP medication prescribed by their doctors may be consuming the drugs for no reason. “The report, which was conducted independently from any drug company money or influence, found the vast majority of people who take meds for hypertension (high blood pressure) see no benefit from them, and do not show reduced levels of heart attack or stroke”. The article continues, “According to the Center for Disease Control, some 1 in 3 adults in America, or 68 million people, have high blood pressure. However, for most of them the condition is considered mild. Historically, even those mild cases are prescribed medication; but the study says the drugs do no good for mild hypertension and could cause harm to patients through side effects”. Kase reports there are dozens of different medications prescribed for high BP, spread across a number of categories – each with its own side effects, ranging from constipation, excessive hair growth, erection problems, rashes and fever to heart palpitations and other adverse reactions. “A tall price to pay, if the drugs aren’t actually helping people live longer,” he says. The writer concludes that, unfortunately, big drugs are big business, and wherever money is involved, motivations can come into question when medications are prescribed to people who might not need them. Such claims aren’t new of course. On January 8, 2012, the UK’s The Observer reported the BP bar was set at 140/90 whereas 15 years earlier the threshold was 160/100. And way back in June 2005, The Seattle Times reported that, in recent years, expert panels from prestigious medical-research organizations such as the World Health Organization (WHO) and the federal National Institutes of Health (NIH) have called for lower thresholds for blood pressure – and, the report points out, “Behind each of those panels were the giant pharmaceutical companies that manufacture the new and expensive hypertension drugs”. That report concludes, “The drug industry welcomed the new treatment guidelines and marketed them vigorously. Not surprisingly, as doctors followed the new guidelines and treated hypertension at lower readings, sales of the newer drugs increased”. High BP is unquestionably a bigger problem in the West, and many experts attribute that to our higher consumption of salt. This is touched on in The Observer article referred to earlier. It reports that Brazil’s Yanomami tribe, whose members eat a diet low in salt and saturated fat and high in fruit, have the lowest mean blood pressure of any population on earth – 95/61. Nor, apparently, does their blood pressure increase with age. “By contrast, in the west, where people eat an average of 10-12 grams of salt per day, blood pressure rises with age by an average of 0.5mm Hg a year. That may not sound a lot, but over the average lifespan that is a difference of between 35 and 44mm Hg systolic”. The article concludes that the most recent meta-analysis of trials involving more than 6000 people from around the world, found that a reduction in salt intake of just 2 grams a day reduced the risk of cardiovascular events by 20%. That may well be the case although we suspect that applies to everyday table salt and not to pure, unadulterated, unrefined sea salt or Himalayan salt. Even more depressing than our ever-increasing reliance on drugs to combat high blood pressure is the overprescribing and over-use of antidepressants – especially where children are concerned. Are those who do not vaccinate their own children putting other children, and society as a whole, at risk? It’s worth noting that not all who are opposed to the vaccine law reforms being considered in California, the US and elsewhere in the world are against child immunizations. 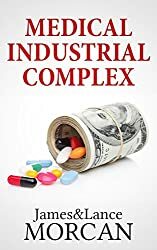 As we point out in our new book MEDICAL INDUSTRIAL COMPLEX: The $ickness Industry, Big Pharma and Suppressed Cures, some (anti) campaigners have either had their own children vaccinated or have advised other parents to vaccinate, but also argue that making immunizations mandatory is unconstitutional and against citizens’ medical freedom. We cannot confidently answer that. Nor, it appears, can anyone. Not with any degree of certainty. Added to the difficulty of sourcing accurate research and reliable statistics is the problem of widespread corruption highlighted in earlier chapters. Sad but unsurprising in any industry as profitable as Big Pharma. A February 15, 2015 article about vaccines, published on the Collective Evolution website and written by Arjun Walia, nicely summarizes a global trend. Headlined ‘The Top 6 Reasons Why Parents Are Choosing Not To Vaccinate Their Kids’, the article quotes Walia as saying, “More and more parents around the globe are choosing to opt out of vaccinating themselves and their children”. The article continues, “As a result of this trend that’s been gaining more and more momentum, a harsh response has come from the ‘pro-vaccine’ community-criticizing parents for their decision to not vaccinate. At the end of the day it’s not really about ‘pro-vaccination’ or ‘anti-vaccination,’ it’s not one ‘against’ the other or about pointing fingers and judgement, it’s simply about looking at all of the information from a neutral standpoint. It’s about asking questions and communicating so people can make the best possible decisions for themselves and their children. “Parents love their kids and the vaccine ‘controversy’ has made it difficult for many parents to know what to do”. Walia says, “Parents who are choosing not to vaccinate their children are not just doing it based on belief, they are doing it based on science and information. This science and information is nowhere near emphasized to the point where the science and information on the other side of the coin is (‘pro vaccine’). “Parents who choose not to vaccinate themselves or their children are clearly intelligent, and they should not be made to look like fools. On the other hand, parents who are choosing to vaccinate their children are also intelligent. “Those who choose to vaccinate should not be made out to be the ones who have made the ‘right’ decision when there is evidence on both sides of the coin that clearly shows parents who are not vaccinating their children could also be making the ‘right’ decision”. Vaccine Safety Evidence Is Not Rock Solid. One Size Does Not Fit All. In his conclusion, Walia presents a fairly balanced argument that suggests it’s time to open up the debate as currently the pro-vaccination lobby is the only one that’s being given airtime in the mainstream media. Besides the fact that pharmaceutical companies cannot be trusted, the other aspect in the equation is that virtually all vaccines are loaded with chemicals and other poisons. The article also states that other countries are waking up to the dangers of vaccines. “In 1975, Japan raised its minimum vaccination age to two years. The country’s infant mortality subsequently plummeted to such low levels that Japan now enjoys one of the lowest levels in the Western world (#3 at last look). In comparison, the United States’ infant mortality rate is #33. (It should be mentioned the Japanese ruling has since been amended. According to the Vaccination Liberation-Information site, Japan’s health authorities now recommend six vaccinations via injection in the first year of life, and three more in the second year. That, according to the same source, compares to 20 vaccinations in the first two years of life of most American children). The Healthy Home Economist article continues, “In Australia, the flu vaccine was recently suspended (April 2010) for children under 5 because an alarming number of children were showing up in the emergency rooms with febrile convulsions or other vaccine reactions within hours of getting this shot”. After researching the pros and cons of immunizations, and listening to all sides of the debate, we still have NO IDEA what the best decision is for parents to make regarding that most tricky of questions – to vaccinate or not to vaccinate. However, we do agree there needs to be a wider public debate as this issue ain’t necessarily as cut and dried as Big Pharma and others in the Medical Industrial Complex would have us believe. As with many cases involving extreme or polarizing points of view, we suspect the truth regarding child immunizations is probably somewhere in the middle ground. We also disregard (and recommend you do, too) the “evil mega conspiracy” implications some anti-vaccine campaigners trot out just as we disregard the “science is already 100% proven and safe” claims the pro-vaccine lobby loudly trumpets. We also think that, at the very least, those adults who are happy to vaccinate their children should be demanding en masse that pharmaceutical companies remove all the toxic chemicals and other poisons that are loaded in these vaccines. When you scan the ingredients, which read like they belong in a can of household paint, it’s obvious these things just cannot be good for the health and wellbeing of a child’s brain or body! For all we know it may be better for a child to be subjected to all these doses of chemicals and poisons than risk contracting serious diseases like polio, but does that make it right? And is everything that can be done, being done, to make vaccines’ ingredients less toxic and safer? It’s unfortunate that only a small percentage of the public are aware of what exactly is in vaccines. If more people were made aware, and if enough demanded less poisonous vaccines, then Big Pharma would be forced to change. Boycotting products and putting public pressure on corporations and governments can be a very effective way to enforce change. Ultimately, the power rests with the people – the 99 percent. If enough demand change, it will happen. And it does seem at least some changes are needed in this most vexing of issues – the vaccination of our children.